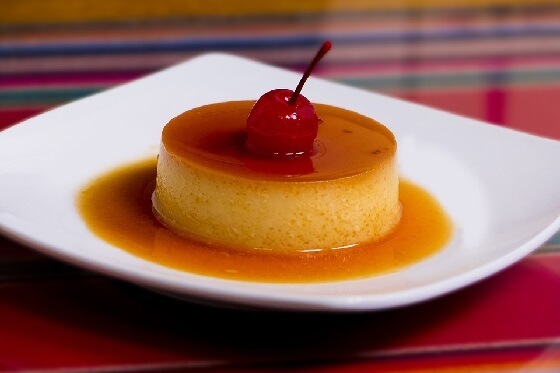 Flan is a traditional custard, typically made in Spanish speaking countries. It is made with a pan caramel, literally just sugar that is cooked until melted and then slightly burnt, with the custard added over top and baked until set. This changes it up a bit with caramel not only on the top (remember it is flipped over) but in the flan itself. You use the same method, but instead of layering, this caramel is added directly into the flan. You should use a thermometer to make sure it is cooked to perfection.